Built 1998 but completely refit in 2011 and then in in 2017, added a beautiful flybridge area to admire the Balearics in luxury and style. 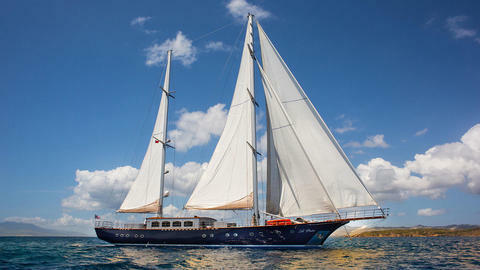 Beautiful yacht with spacious areas for charters in Spain, friendly and professional crew. Waterskis, Wakeboard, 2 x SeaBobs, 2 x paddle boards, snorkelling gear, Inflatable watertoys. 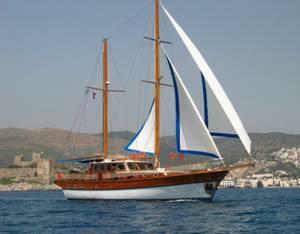 Luxury Gulet offered for charters in Italy - Naples, Sorrento, Amalfi Coast, Sicily, Sardegna. 4 luxury cabins, 4 crew members. This is a particular high quality hull construction. 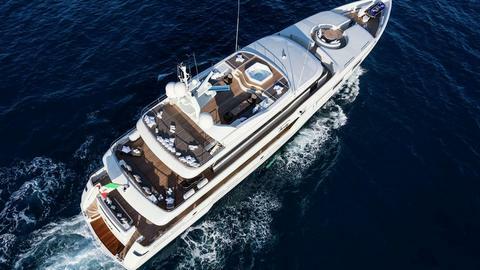 Custom made for Italian Owner: She can really cruise under SAILS! 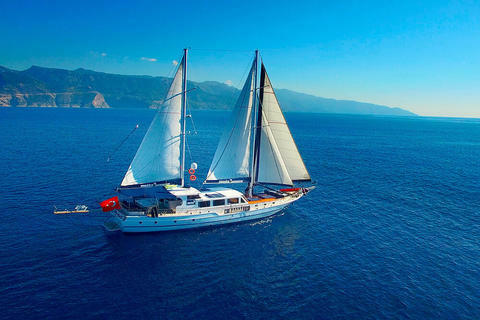 Beautiful and modern gulet, new, year 2012, available for charters with excellent crew! Early booking discounts available. The Mediterranean, the Aeolian Islands, dream islands... and the Tyrrhenian Sea for your unforgettable dream holiday. Do you offer boats for hire (not only Customs Built) by yourself? 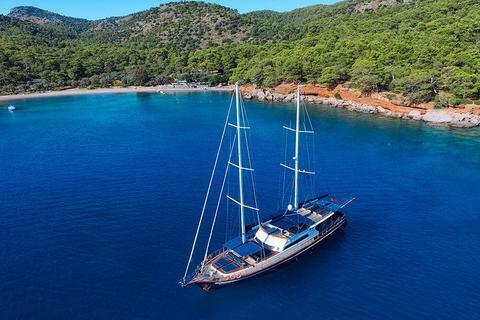 Sign up and add your Customs Built or other yachts for rent in our yacht charter data base.